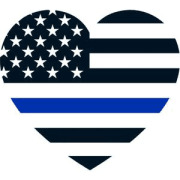 Our mission is to strengthen the relationship between police and the community they serve, support police officers and their families, and be a positive voice for Law Enforcement in our community. Our upcoming goals are to set up an LEO Scholarship program, provide a meal to the Carolyn Scott Rainbow house, and donate "K9's for Kids" to the children at Children's Hospital. Would you recommend STRENGTH BEHIND THE BLUE?